If you travel by bus from Hyderabad to Tirupati, it will take you total of approximately 12 hours. Bus services are usually in evening. After 48 hours sojourn in Hyderabad, when I took the bus, I did not know I would be reaching Tirupati in a pretty bad shape. In that physical condition, it was a real pain carrying a heavy bag on your shoulders and trying to find a decent hotel. After 1-2 hours, finally I gathered the courage to take a bus to Tirumala. Initially, thought of dropping the ‘Darshan’ plan because of my health and my previous experience but then thankfully, decided against it. I don’t know why but there is certain discomfort I feel at Tirumala perhaps because of administrative issues, language barrier or the rush factor. The whole excitement of visiting a famous Hindi pilgrimage place goes in ashes. While you embark on a religious journey, your heart feels in a certain way, full of devotion and positive vibes. But the place is very unfriendly. People don’t really help you if you are looking for some sort of directional needs. The fact that, there are different fees for darshan puzzles me. There are different categories of Rs. 50, Rs. 300, Rs 500 and so on, so forth. The higher you pay, less time it will take you to have a glimpse of Lord Venkateshwara. Why is it that, Temple authorities have created categories like ‘normal fee’, ‘special fee’, ‘VIP fee’ etc. When you are standing at the gate of the lord, everyone should be treated equally, right? But no, equality has ceased to exist even at the doorsteps of God. And if in case, a big time politician or film star arrives there, you are supposed to wait for him to receive his iota of blessings from the Lord before your number comes. Remember, you are an ‘Aam Aadmi’ (common man) and not even God will take away that curse from you. In my case, the visitors were left stranded in queue because some minister from Pondicherry had come calling. And a minister being a minister has some privileges that common people are not supposed to have. But compared to my last experience here, some 7-8 years back, this time it was less problematic. The system had changed a bit. It took me ‘just’ 3 hours and this time the priests did not misbehave with me like last time. Perhaps the fact that, this time, some common people were acting in disguise of volunteers or service people hired by temple authorities or whatever, were managing queue, helped. No doubt, the sanctum sanctorum is exactly like how the God’s abode should be. Mesmerizing and lavishly decorated. 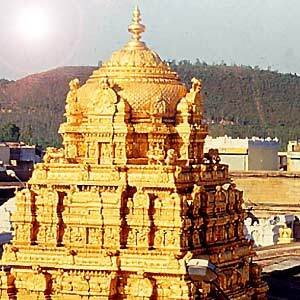 The state of Andhra Pradesh can never be poor with the amount of gold being dedicated at Tirumala. Yes, I did feel all devoted and spiritual for a while but it was hard to feel totally immersed in the glory of Lord amidst the logistical issues. All in all, compared to last time, I faced fewer problems last month yet some of the problems are likely to stay there till eternity. Two weeks on the move and need I say, it was worth every minute, every second of it! I always had a desire to explore South India and fortunately, I got a chance this time and trust me, I capitalized on it with a child like curiosity and enthusiasm. Like everything else in life, the trip was not planned and just happened to take place. Perhaps, that’s also the best part of any tour; not having a certain plan and you flow along. The unpredictability factor is essentially one of the best things that can work in favor of you. My journey began with Hyderabad and proceeded towards Tirupathi, Coimbatore, Ooty, Coonor, Kodaikanal and yes, Madurai! Phew! Jealous, huh?! 😉 When I boarded Andhra Pradesh Express, I did not expect it to be 5-6 hours late. It was supposed to have a 27 hours journey from Delhi but by the time I reached Hyderabad, I realized it has taken 33-34 hours. Poor Rajeev had to wait for excruciatingly long hours for me. The first thing that I had in mind was to explore famous Hyderabad hospitality and cuisines. Hyderabadi Biryani and Tandoori Kebab! Umm…Yummy! The place had a pleasant weather during night time and there is certain traditional warmth about it. Despite, it being the new Information Technology hotspot that has been progressing by leaps and bounds, Hyderabad exudes an old world charm. The food here is definitely lip smacking, better so if you are a non-vegetarian. 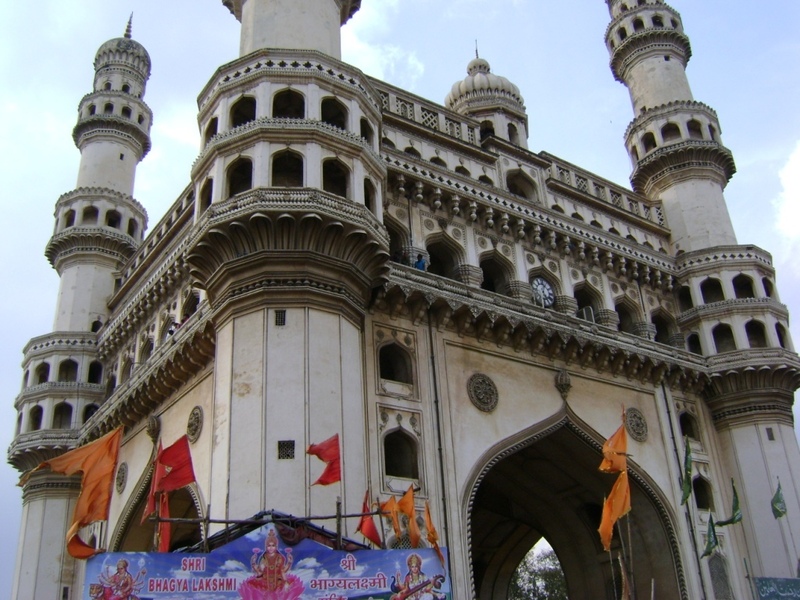 City of Hyderabad boasts of a duality at the core of which lies harmony and peace. There is distinct mark of cross-cultural influences. The twin cities of Hyderabad and Secundarabad have a distinctly different culture than that of rest of Andhra Pradesh. The confluence of two major communities, Hindu and Muslim leaves an indelible mark on the landscape of Hyderabad. The place gives you a feeling as if; every street and every corner has a different story to narrate. I did not know that the city is also called the ‘City Of Pearls’ but sadly I could not make much use of the information. Guess, will have to shop for pearls as gifts, some other time. Though, there are certain things that definitely need improvement like public transport system or congested roads but let these issues remain out of this post as of now. For once, I felt as if I am roaming in the by lanes of Chandni Chwok. Life would be more comfortable in the city if you have your own personal vehicle. 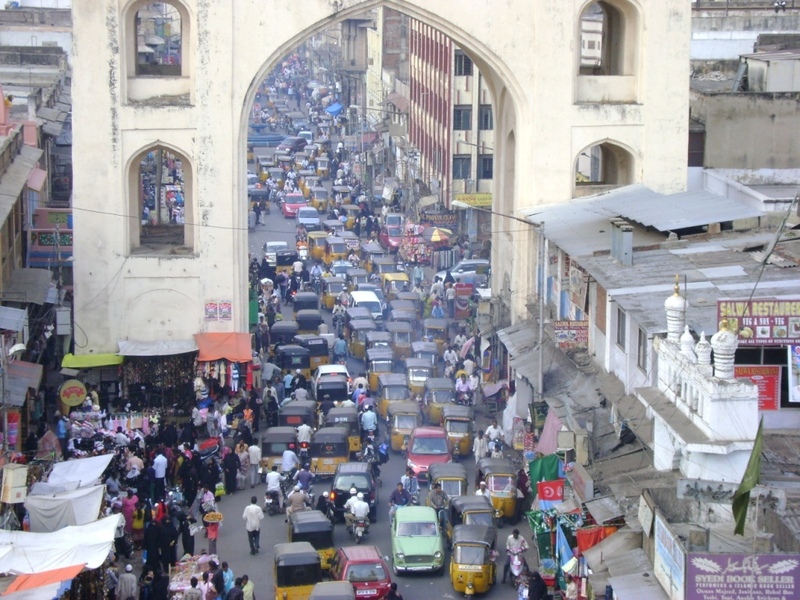 Charminar was one place I was quite eager to visit. Charminar stood tall yet somehow, there was something missing though I don’t know what. However, once you are standing on perch of it, you can truly feel the heartbeats of the city. There is small temple made (by accident or design) adjoining the base of the structure. This symbolizes a nice little facet of the southern city. It’s located in old Hyderabad with plenty of pearl shops, Choori bazaar, and kebabs places in its vicinity. 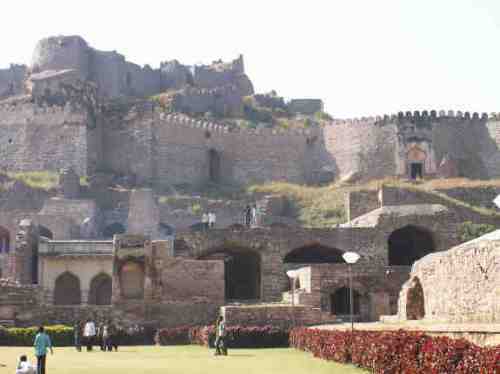 Golconda fort is also visible from the Charminar though it is approximately 12 Kms. Away from it. 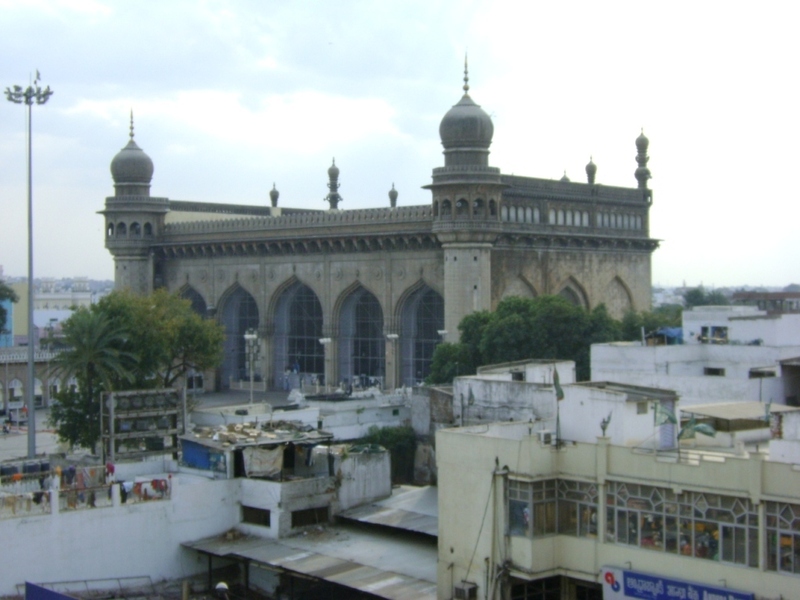 Mecca Masjid which is hailed as one of the largest mosques in India is just beside the Charminar. Located in the heart of city, Hussain Sagar is a popular tourist spot. You can also have a look at laser shows organized by nearby park authority. It was fun. Some other popular sports are, Qutub Shahi Tombs, Birla Mandir, Salarjung Museum, Birla Planetarium, NTR Gardens and of course the famous Ramoji film city. Later on I munched upon all those famous Hyderabadi food items. Foods were spicy and totally delicious. Next up on my travel itinerary was Tirupathi.